SAN FRANCISCO — June 27, 2018 — Companies are using different cloud-native technologies side-by-side at an increasing pace to build both new cloud-native applications and to refactor traditional applications, according to the latest report released today by the Cloud Foundry Foundation, home of the most widely-adopted open source cloud technologies in the world. A Multi-Platform World: Technologies are being used side by side more than ever before. IT decision makers report 77 percent are using or evaluating Platforms-as-a-Service (PaaS), 72 percent are using or evaluating containers and 46 percent are using or evaluating serverless computing. More than a third (39 percent) are using a combination of all three technologies together. A Mix of New Cloud-Native and Refactoring Legacy Applications: 57 percent of IT decision makers report their companies do a mix of building new cloud-native applications and refactoring existing applications, an increase of nine percentage points from late 2017. Containers Have Crossed the Chasm: For companies choosing to develop new or refactor existing applications, they are choosing containers. Serverless is on the Upswing: Serverless computing is being evaluated with rapid momentum. Only 43 percent of respondents are not using serverless and 10 percent more companies are evaluating serverless than in 2017. PaaS Usage Continues to Swell: PaaS is being more broadly deployed than ever before and companies are developing new cloud-native applications at increased momentum. It stands to reason that these two upsurges happen in tandem. This growth in usage is bolstered by the 62 percent of IT decision makers who report their companies save over $100,000 by using a PaaS. Flexibility and Interoperability are Key: IT decision makers ranked “Integration with existing tools” and “Flexibility to work with new tools” in the top five attributes in a platform, alongside Security, Support, and Price. Less than six months ago, the Foundation’s 2017 report “Innovation & Relevance: A Crossroads on the Cloud Journey” indicated IT decision makers were advancing in their cloud journeys. In 2016, IT Decision Makers reported a lack of clarity around IaaS (Infrastructure-as-a-Service) and PaaS (Platform-as-a-Service) technologies, and most were still in the evaluation stages. By late 2017, they had progressed to selection and broader deployment of cloud solutions. Twenty percent report of IT decision makers report primarily building new cloud-native applications, up five percentage points from last year, while 13 percent say they are primarily refactoring, a drop of 11 points. As an increasing number of companies are developing new cloud-native applications, PaaS is being broadly deployed by more companies than ever. It stands to reason that these two upsurges happen in tandem. 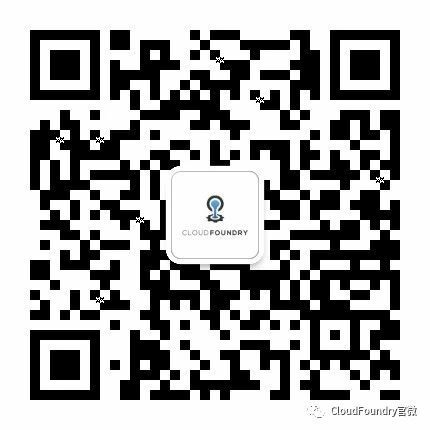 Cloud Foundry Application Runtime is a mature and growing cloud application platform used by large enterprises to develop and deploy cloud-native applications, saving them significant amounts of time and resources. Enterprises benefit from the consistency of Cloud Foundry Application Runtime across a variety of distributions of the platform, thanks to a Certified Provider program. Cloud Foundry Container Runtime combines Kubernetes with the power of Cloud Foundry BOSH, enabling a uniform way to instantiate, deploy and manage highly available Kubernetes clusters on any cloud, making deployment, management and integration of containers easy. To receive a copy of the survey, go here. The survey was conducted and produced by ClearPath Strategies, a strategic consulting and research firm for the world’s leaders and progressive forces.